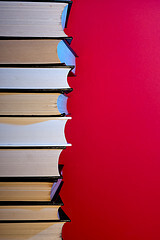 A MindStir Media Blog | How to Publish Books: Publish In Hardcover? I know lots of authors are in love with the hardcover format. For them that love affair needs to end. It certainly is a neat feeling to see your book in hardcover, but most avid readers are unwilling to pay hardcover prices nowadays. Self-publishing authors need to keep that in mind! Why will readers pay $24.95 for hardcover when they can buy a paperback for less than $15 and eBook for less than $10 (sometimes less than $5)? I've always said that it's wise to publish in multiple formats (you've probably heard me say it). I believe the most important formats are paperback, eBook, and downloaded audiobook. Why? Paperback: The majority of readers still prefer physical books over digital. Offering the paperback format caters to printed book lovers while keeping the price affordable. Without this format, you will miss out on sales! eBook: We've all heard and read about eBooks, their impact on the publishing and book selling world... Major publishers are either scared out of their minds or embracing the new digital technology (or both) and physical bookstores are going out of business as book buying becomes less expensive and more convenient... Last time I checked, eBooks account for somewhere around 20% (probably less, but all reports I've seen differ) of the US book market. You don't want to ignore this part of the market! Downloaded audiobook: This format is popular among commuters. Folks driving to work enjoy listening to a good book (and it's much safer than trying to read and drive!). And don't forget people who love to listen to books while exercising.... Audible.com was one of the biggest things to happen to audiobooks. If you decide to publish in this format, make sure your audiobook ends up on Audible.com! Don't get me wrong, though... Hardcover still controls part of the market (I just don't consider it as important as the other formats). If you insist on publishing in hardcover--and it'd better be along with the other formats--use the hardcover format as a "special edition," in which you include exclusive goodies like deleted scenes or back stories, maps, character images, a link/code to redeem something at your website, etc. Basically help readers justify spending the extra money on your hardcover.